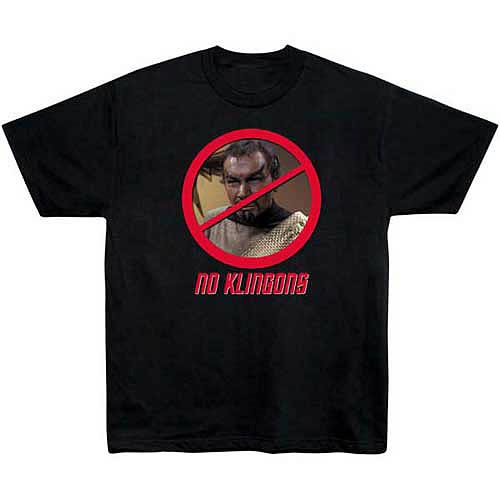 Star Trek Classic No Klingons Star Trek T-Shirt. They're rowdy, messy, and not the best looking bunch. If you're not down with the Klingons, you'll definitely want to check out this 100% cotton, high-quality, pre-shrunk, black Star Trek T-Shirt. Machine washable. Order yours today!